You've nabbed every single trophy. Nice! You chose to start the game. Here's your reward! You have achieved the Normal Ending. You have achieved the Good Ending. You have achieved the True Ending. You defeated Regu and Bamo. You have survived your first fight. You have fought 100 battles. You have fought 500 battles. You performed a 100-hit combo. You inflicted over 100,000 damage against a foe! You leveled one character to 99. You leveled all characters to 99. You set up an original combo. You made your own disc via Disc Dev. You created a Godly Game via Disc Dev. You have activated 200 Plans. 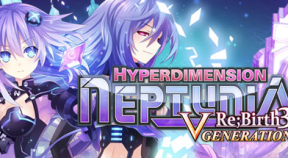 You have entered Neptral Tower. You have cleared Neptral Tower. You have cleared 100 Quests! You maxed out Neptune's Lily Rank. You maxed out Plutia's Lily Rank. You maxed out Noire's Lily Rank. You maxed out Blanc's Lily Rank. You maxed out Vert's Lily Rank. You maxed out Nepgear's Lily Rank. You maxed out Peashy's Lily Rank. You maxed out Uni's Lily Rank. You maxed out Rom's Lily Rank. You maxed out Ram's Lily Rank.